Aluminum silicon alloys belong to the family of metallic phase change materials that utilizes latent heat to store and release energy. In designing such heat storage systems, knowledge of the thermal conductivity in both the liquid and solid phase is required to determine heat exchange speed. Here, we attempted to evaluate the thermal conductivity of liquid Al–Si alloys both from electrical resistivity and from thermal diffusivity. Electrical resistivity was measured by adapting the van der Pauw method for liquids and is related to thermal conductivity through the Wiedemann–Franz law, but assumptions about the Lorenz number of liquid Al–Si alloys is necessary. We also measured the thermal diffusivity of liquid Al–Si alloys by laser flash to calculate the thermal conductivity. 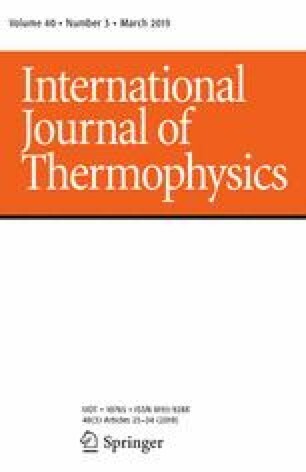 Comparing the thermal conductivity obtained through these two methods, we realized that calculations with the ideal metal’s Lorenz number overestimates the thermal conductivity of liquid Al–Si alloys.